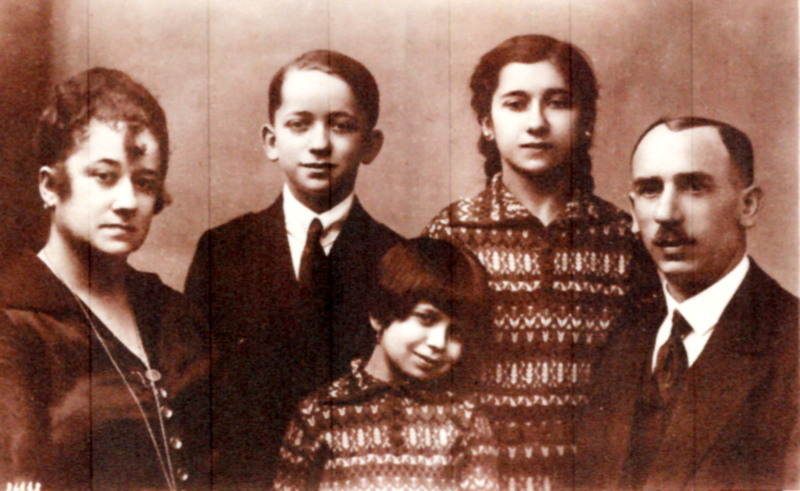 Hugo Strassburger came from the most important Jewish circus family in Germany. 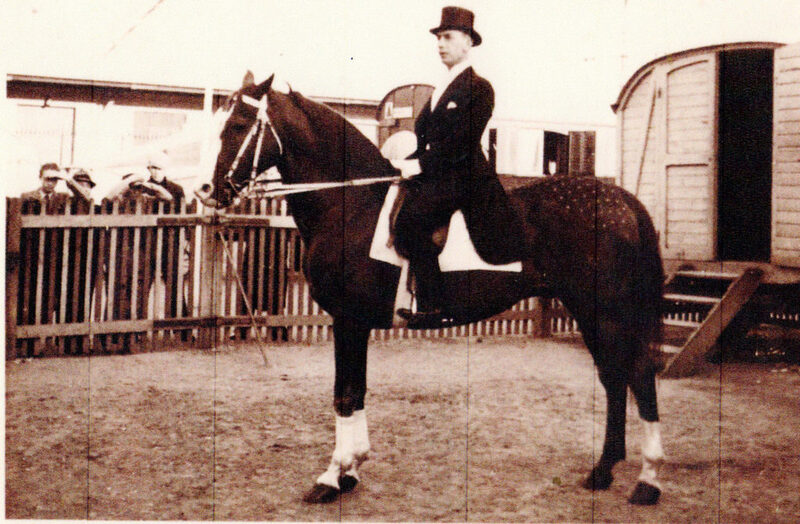 He worked as stable master, animal trainer, and buffoon horseman “Hugoletty” in the circus of his older brothers Adolf and Leopold, which was later taken over by Adolf’s son Carl. With his wife Karoline (*1880, née Janssen), he had three children who also became circus artists: Henriette (*1912), Adolph (*1914), and Amalie Isabella named Bella (*1919). The anti-Jewish policy of the Nazis hit Hugo Strassburger in its entirety. While his brothers were classified as “Halbjuden” (half-Jews), Hugo fell through his Jewish wife into the category of “Geltungsjuden” (Jews by legal validity), which was legally equal to “Volljuden” (fully Jewish persons). Carl Strassburger saw himself forced to dismiss his uncle Hugo, but he was able to get him and his family an engagement for the South America tour of the circus Stosch-Sarrasani, which started in 1934. Eight Jewish circus staff members used the two-year journey through Brazil, Uruguay, and Argentina for emigration, but Hugo Strassburger decided to return to Germany despite all warnings. With the arrival of the ship in the port of Hamburg, an occupational ban for the Jewish family of artists came into effect. During a Gestapo interrogation in May 1936, Hugo Strassburger had to pledge himself to emigrate as soon as possible. Thanks to an engagement at the Cirque Amar, the whole family could move to the French town of Blois at the beginning of July 1936. Hugo’s daughter Bella married the Belgian clown Eugène Babusiau and moved with him to Brussels, where she survived the war. For the rest of the family, however, a three-year phase of relative security ended in September 1939. In contrast to what has so far been stated in literature, the French police arrested Hugo and Adolph Strassburger already at the beginning of the war and sent them to the internment camp Gurs as “enemy aliens”. While the son was released on restrictive conditions and returned to Blois, the father remained interned even after the Franco-German ceasefire. At the beginning of August 1942, Hugo Strassburger was transferred to Drancy and from there deported to the Auschwitz concentration camp, where he was murdered in the gas chambers. For the family members remaining in Blois, the situation deteriorated with the introduction of the “Jewish batch” in June 1942. At the end of the same month, the German Field Gendarmerie arrested Henriette, who was shortly afterwards deported to Auschwitz. The arrest of her mother Karoline followed in the course of a large-scale raid on October 9, 1942, in which the former upper age limit was no longer valid. The German authorities sent Karoline Strassburger to the Beaune-la-Rolande internment camp and transferred her from there to Auschwitz via Drancy in February 1943, where her trace is lost. Adolph Strassburger escaped his pursuers, however. In June 1942, he evaded his arrest by chance. Subsequently, Shérif Amar helped him to hide himself, first in a circus depot in Blois, later in changing apartments in Paris and Aubervilliers. Single employees and relatives of Amar provided him with food. After the liberation, Adolph stayed for several years at the Cirque Amar and waived his salary for a long time, in order to express his gratitude. It was not until 1951 that he moved to the Netherlands, where he took on various engagements, among them also at the circus of his cousin Carl. Adolph Strassburger died in 1974. State Archive Hamburg, 351-11 nos. 4672, 5043 and 39489; Archives of the Land North Rhine-Westphalia, section Rhineland, RW 58/41748; Circus Archive Winkler, Berlin; ITS Archives, Bad Arolsen, 1.1.9.1/11179680, 11180518 and 11182555; Günther, Ernst: Sarrasani, wie er wirklich war. Berlin 1991; Nissing, Herbert St.: Strassburger. Geschichte eines jüdischen Circus. Dormagen 1993; Denis, Dominique: Les Cirques des Frères Amar. Aulnay-sous-Bois 2006; Klarsfeld, Serge: Vichy – Auschwitz. Die „Endlösung der Judenfrage“ in Frankreich. Darmstadt 2007.